PRICE JUST REDUCED $40K!!! 53 Voyager with dinghy and jet ski! 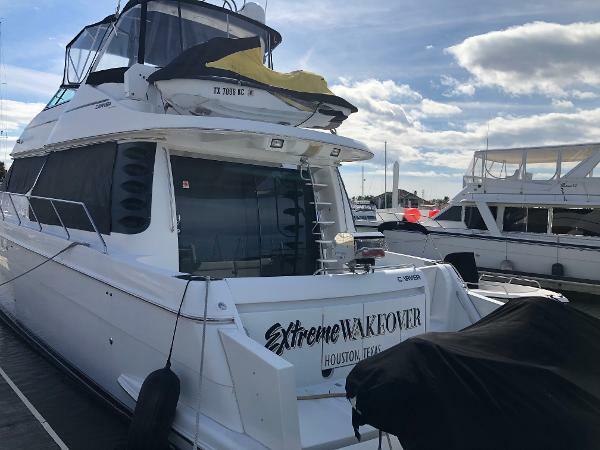 This PilotHouse is ready to cruise away on your next adventure! 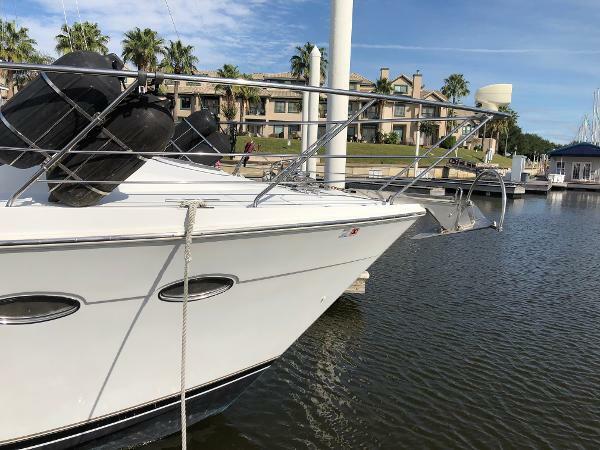 Many Updates and Options to include: 2009 Zodiac Yachtline Deluxe 340 w/ 2012 Yamaha 40 hp engine 2005 Yamaha Waverunner GP800 twin Summit Stainless Steel two drawer refrigerator 42" Sony TV TNT hydraulic swim platform with remote Marquipt davit with lift Lower helm with joystick control Two upgraded Marine Turbo A/C units bridge wetbar/refrigerator much, much, more! The Carver 530 Voyager Pilothouse has a distinctive profile and exquisite comfort and style, with remarkable fuel capacity. 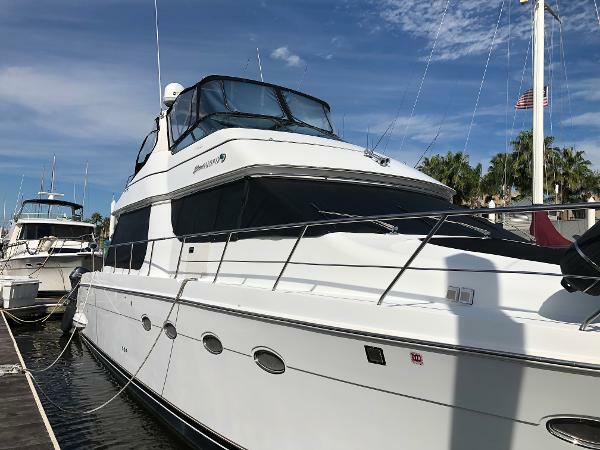 Designed for entertaining as well as for the helmsman's comfort, the flybridge offers a large dinette - lounge, seating for eight, a wet bar, plus afterdeck storage for the dingy. Large sliding glass doors lead from the cockpit to the luxurious cabin where frameless windows enhance light and visibility. A companionway and door lead from pilothouse to bridge, and there's a starboard side deck access door. The spacious galley offers a large countertop area, extra cabinets, and additional entertainment space, plus the standard three-burner stove with oven, built-in convection microwave oven, refrigerators, and solid-surface countertops! Great accommodations with large Master Stateroom with tub!